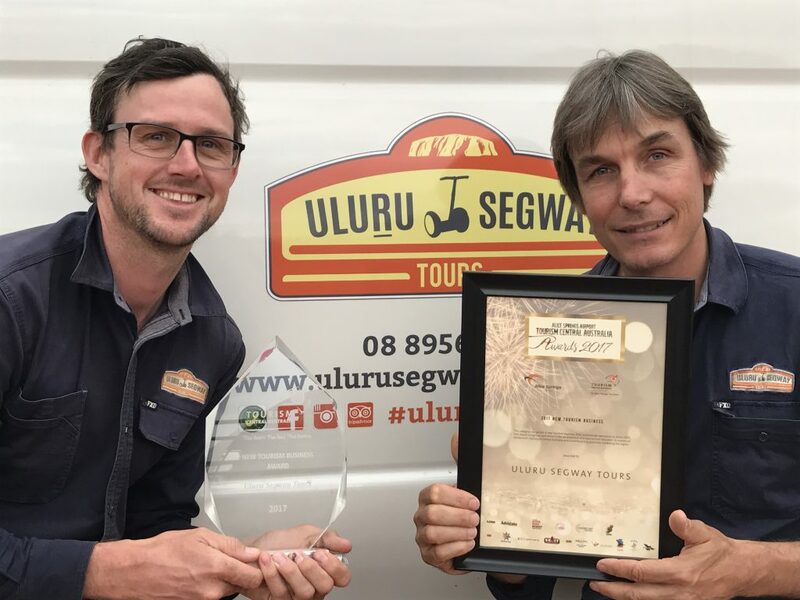 This weekend Uluru Segway Tours attended the Tourism Central Australia 2017 Awards night. Whist there we were lucky enough to take home Best New Tourism Business Award. Everyone had a fun and exciting night. The highlight for our team was being named the best new business of 2016/17. This award recognises excellence in new tourism businesses and their impact on the Central Australian Tourism Industry. Other award winners for the night include: Uluru Fork and View, Field of Lights, Trek Lara Pinta, Uluru-Kata Tjuta National Park and Barra on Todd Restaurant and Bar. Uluru Segway Tours would like to thank the judges, sponsors, event organisers and everyone involved in the night. Furthering this Uluru Segway Tours would like to extend a big thank you to our wonderful team. Without our amazing team this award would not have been possible.